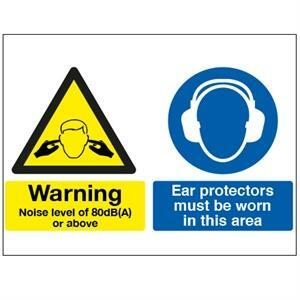 Warning noise level of 80dB(A) or above. Ear protectors must be worn in this area. Available in 1.2mm rigid polypropylene or self-adhesive vinyl. 300mm x 500mm.